Love that couldn't be, see the list! Love stories don’t always start or end well. 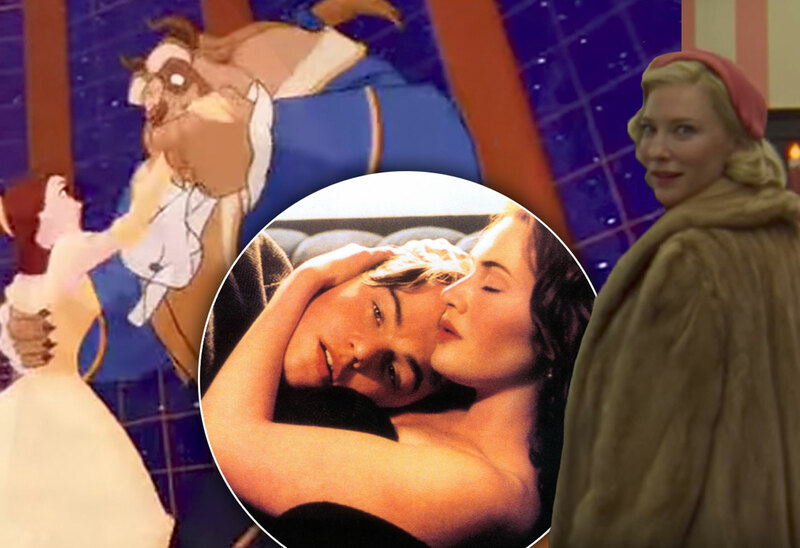 In these eight movies, we take a look back at the forbidden love affairs depicted in movies. An orphaned girl Sophia (Alicia Vikander) has a secret affair with a portrait painter behind her husband’s back. The couple risks everything and goes into the tulip bulb market in an attempt to make a fortune to earn their freedom. Belle falls in love with a beast who used to be a prince. He was turned into a beast when he refused to offer shelter to an enchantress. The townspeople couldn’t understand their love and they attempted to kill the beast. A one-time drunken night between two men (played by Heath Ledger and Jake Gyllenhaal) turns into a passionate relationship that had to be hidden because of the refusal of homosexual relationships in Wyoming during the 1960s. In the midst of tragedy, wealthy passenger Rose (Kate Winslet) falls in love with a penniless artist Jack (Leonardo DiCaprio) while engaged to another man. Jack pays the ultimate price to save her life during the tragic event that followed their introduction and love affair. Two children find out after the passing of their mother (played by Meryl Streep) that she had a short affair with a travelling photographer (played by Clint Eastwood). Sadly, she let the love pass because she couldn’t leave her children or husband. The classic Shakespearean tragic love story of two people from rivaling families. Their love would never be accepted and death became the only answer. Socially awkward Lars Lindstrom (played by Ryan Gosling) falls in love with a lifelike doll. A family doctor starts indirectly working with Lars to understand his unusual connection. Two women in the 1950s have a loving connection, but a morality clause in one of their divorce settlements would have her lose custody of their children.